The IDF has declared the northern Golan Heights a closed military zone. The IDF has declared the northern Golan Heights – specifically the border area with Syria – to be a closed military zone. 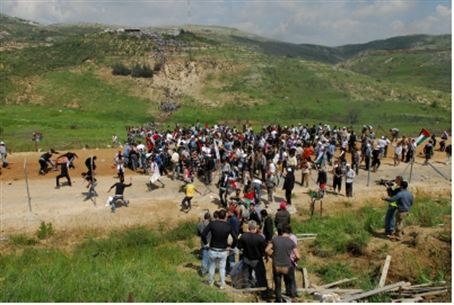 The area was closed Friday due to the threat of further violent riots and provocations, similar to last week's “Nakba Day” events at the Syrian border. “The decision was made in light of recent intelligence assessments,” the IDF Spokesperson said in a statement. The village of Majdal Shams was also declared a closed military zone due to the possibility that Syrian citizens might again try to breach the border. Last week, IDF Chief of Staff Lt.-Gen. Benny Gantz said the IDF would prepare for similar events in various ways. Gantz added that the army will acquire more non-lethal crowd dispersal means as well. “We will use previous experience and draw from our knowledge in order to write an appropriate military doctrine and prepare,” Gantz said.